To Learn. To Achieve. To Grow. The mission of Saint Gregory’s School is to prepare our students for the most demanding of secondary programs and the world beyond by providing a rigorous and dynamic academic curriculum and engendering strong moral character in every student. Help support the students of today with the education of tomorrow! 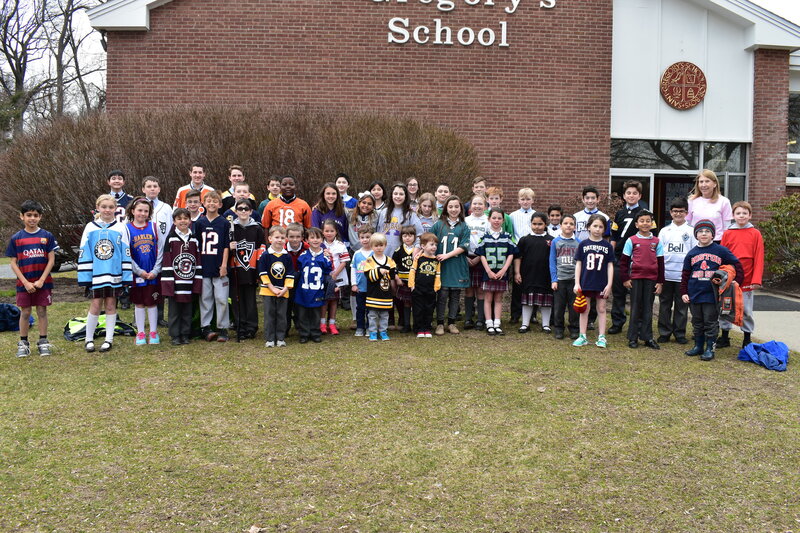 Saint Gregory’s students wore their favorite jerseys to honor those lost and injured in the tragic bus accident in Canada. This student-led initiative was organized by a Saint Gregory’s Upper school student and youth hockey player. Devlin credits Saint Gregory’s School with teaching him how to think critically and argue effectively. Thank you to all who attended the Headmaster’s Gala! Designed by D2 Media Consultants, Inc.